The Rolling Stones No. 2 is the second UK album by The Rolling Stones released in 1965 following the massive success of 1964's debut The Rolling Stones. Not surprisingly, The Rolling Stones No. 2 followed its predecessor's tendency to largely feature R&B covers. However, it does contain three compositions from the still-developing Mick Jagger/Keith Richards songwriting team. 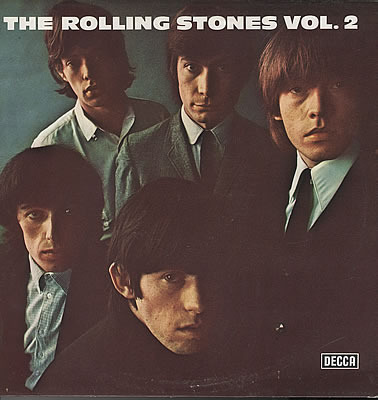 A huge hit in the United Kingdom upon release, The Rolling Stones No. 2 spent 10 weeks at #1 in early 1965, becoming one of the year's biggest sellers in the United Kingdom. According to Bill Wyman in his book 'Stone Alone: The Story of a Rock'N'Roll Band,' John Lennon said of The Rolling Stones No. 2: "The album's great, but I don't like five-minute numbers." Due to the preference towards the American albums, ABKCO Records has overlooked both The Rolling Stones and The Rolling Stones No. 2 for CD release in 1986 and during its remastering series in 2002. Consequently, the album has been out of print for many years and has thus been widely bootlegged by collectors. The group's second British album actually appeared after their second U.S. LP, mostly owing to the fact that the British rock & roll audience wasn't focused on the long-player as a medium (singles and EPs were the driving force of the business in England then). It uses the same David Bailey cover shot that had graced the U.S.-issued 12 X 5 album two and a half months earlier, but only four songs — "Under the Boardwalk," "Suzie Q," "Grown Up Wrong," and "Time Is on My Side" — overlap on the two albums.